Many of you have probably seen this, but for those that haven’t, it is simple and too important not to share! I saw this on the Pig Love blog yesterday (if you have never visited them, I suggest that you do! Just click on their highlighted name). I thought this message was too important NOT to share! 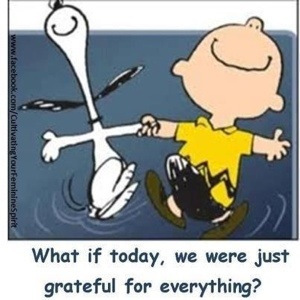 Mom and I are grateful for so many things!!! Will you help my kitty brother? 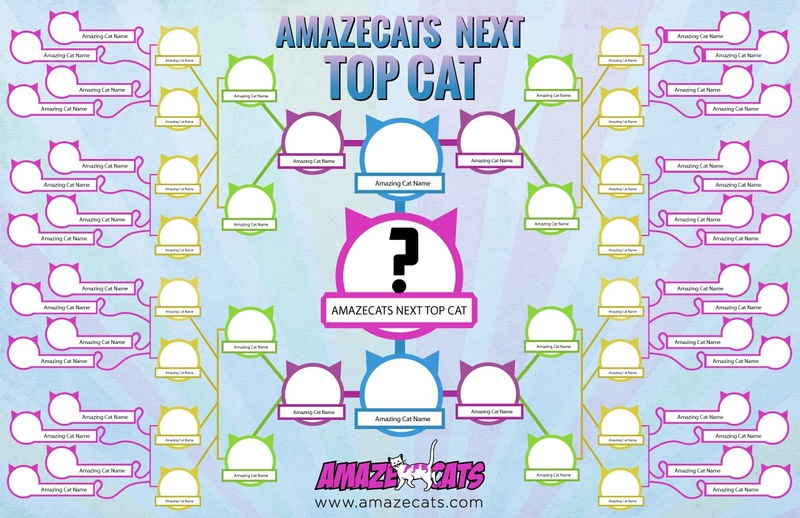 Vote for AmazeCats Next Top Cat! Hi everyone! It’s Dakota, and today I am gonna do something super brotherly (but don’t you dare tell that I did this!) You see, my brother, Cody is participating in a contest, and since he is NOWHERE near as adorable as I am, (BOL! ), he NEEDS VOTES! Pretty pitiful isn’t it? Can’t SOMEONE teach this guy how to SMILE? He has an expression like “Uh, duh…did you call me?” BOL! The contest is being held by AmazeCats. The famous cats of the internet that we all know and love are coming together to help cats in need. Our feline friends have joined forces to bring you a cool deck of playing cards featuring their adorable photos on each card. You can play cards, hang out with your favorite internet cats and donate to a great cat charity all at the same time. How neat is that? Every purchase is a donation! All of the proceeds from this deck will be donated to Stray Cat Alliance, a great non-profit organization aimed specifically at caring for and finding homes for stray cats. Because there are many special needs cats with way more votes than my brother, (and in all honesty they are more deserving, I am not kidding when I say that, I mean that with all of my heart) he won’t win the contest. That’s ok! He just wants to finish in the Top 32! Isn’t that the most EMBARRASSING THING EVER? 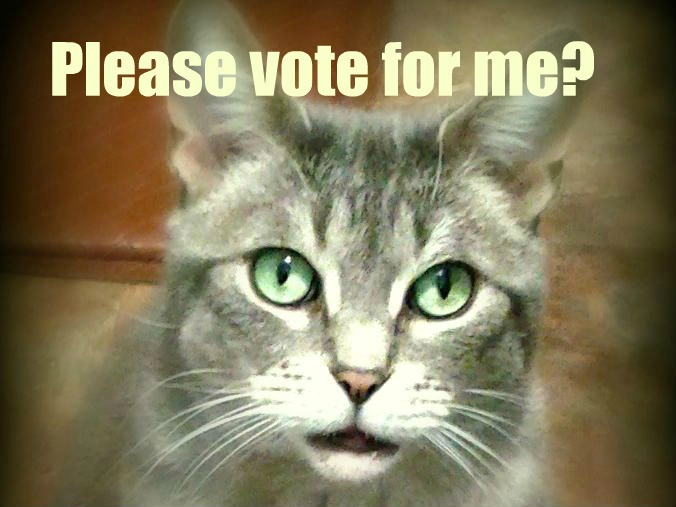 Do you feel sorry enough to vote for my slightly rotund feline family member? If so, you can vote once a day UNTIL MARCH 29th! Cody has a few blogging buddies who are also in the contest and they would love to make it into the top 32 as well! The cool thing is you can VOTE FOR MULTIPLE CATS IN ONE DAY! So when you vote for Cody you can vote for them too! Sorry to ruin your day with a kitty on the blog, but sometimes with family you just gotta do what you gotta do! Pam had compiled a list of commands that she uses for her dog, Honey, that cover a lot more ground than your basic, “sit”, “stay” or “wait”. If you haven’t read this fun and informative post, click on the above link! “What do gentlemen do?” I stumbled upon it a couple of weeks ago when Dakota was having a barking fit wanting a bone. I never thought he would understand a complete sentence when I used it. In frustration I said “What do gentlemen do?” He promptly SAT. I have used it since to make sure it wasn’t a fluke and he sits EVERY time. My husband calls him a “gentleman” when he takes him to the bathroom but never uses it for sitting. I must try to get it on video. I would love to see that, you will have to get it on video! Guess what? I did JUST THAT! Yesterday I went and to Sprint to take advantage of the upgrade I had available to me to trade in my old Android phone for the new iPhone4 , and was playing with the video function. I decided to ask Dakota the infamous question: “What do gentlemen do?” See for yourself! It is MUCH funnier when Dakota is in the middle of vocalizing about how much he wants his Rachael Ray Nutrish® Soup Bones™. Just to show you the “gentleman” routine is NOT a fluke, witness it again! I’d say he deserves a BlogPaws Nose-to-Nose Award nomination, don’t you agree? Now is YOUR chance to nominate ALL of the pet blogs/bloggers that you love! From BlogPaws: The “Nose-to-Nose” Awards is the only awards program in which pet bloggers and microbloggers are judged on their expertise, creativity, and performance in one or more of 12 categories by a panel of distinguished professionals. The BlogPaws Nose-to-Nose Awards are not a popularity contest! Nominations open at 12:00 PM EST on Wednesday, February 27th, 2013 – and close at 3:00 PM EST on Friday, March 8th. Yep, that’s right! You don’t have to experience angst wondering who you are going to nominate, you can nominate ALL of your favorites in as many categories as you would like! and you know what? There are a number of blogs that we feel are deserving in EACH category and we aren’t going to just nominate one per category, we are going to nominate ALL of our faves for EACH category! That way, EVERY FURRY will be considered! How cool is that? One thing that we love about the Nose-to-Nose awards is that even if you are just nominated ONCE, you are in the running, AND, you CAN NOMINATE YOURSELF! Every blog that is nominated will be reviewed by the judges panel, but just once. Please, please nominate ALL of the blogs/bloggers that you love for whatever category! We are HONORED and FLATTERED that so many of you visit us on a regular basis, or even that you visit us at all! That being said, if there was a post that made you smile, a photo that you loved, a book review that inspired you to buy/read a book, a contest that you won, a product that you learned about here or anything else that you loved, that we work painstakingly and with all of our heart to share with you, we would be HONORED if you wish to nominate us for whatever category you see fit. Well, except best meow blog since this isn’t a cat blog! BOL! Our chances of being a finalist or even of gasp, WINNING...are next to none, but it would mean the world to us if we were even to be considered. Should you wish to nominate us, and we THANK YOU if you do, you can click on each category that we mentioned above and it will take you right to the nomination pages. Now, Dakota and I are off to do some more nominating of other deserving blogs/bloggers ourselves!! I am wagging my tail with delight! I am honored to be the BlogPaws Community Featured Pet! If you haven’t joined the BlogPaws Community. Click on my photo to join! 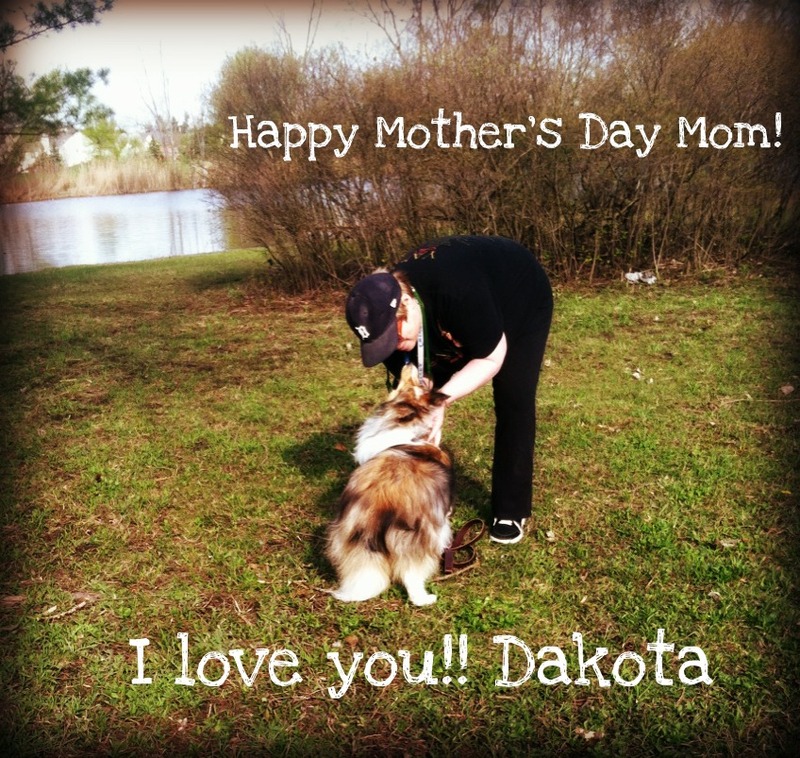 Dakota is a loving, funny, stubborn, (loud!) 5-year-old Shetland Sheepdog gentleman from Farmington Hills, Michigan. He loves eating bones, being brushed, modeling and playing with his ball, and he’s a great brother to Cody, the cat. 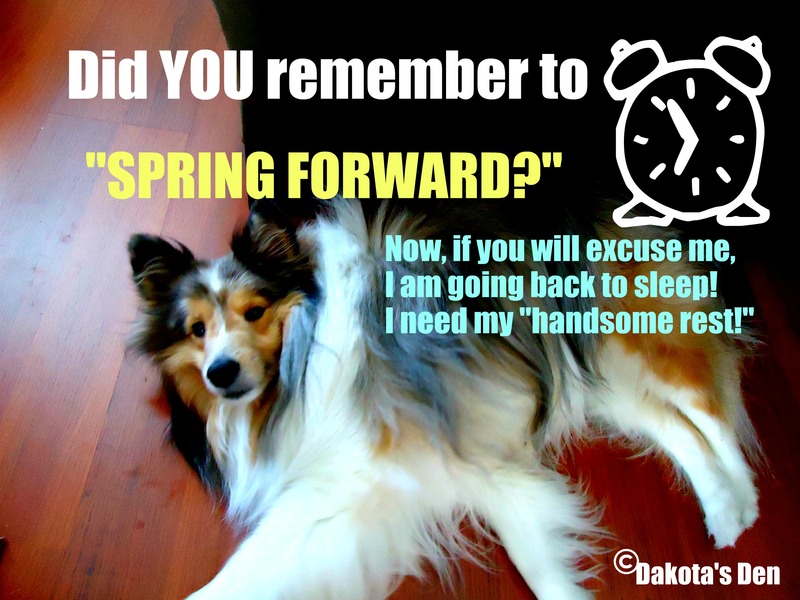 You can get to know the handsome and adored Dakota better on his mom’s Community Page, at his blog: Dakota’s Den, onFacebook and on Twitter @dakotasheltie. This video is just too wonderful. I found this on the Petcentric website hosted by Purina! and fought for our country and our freedom. 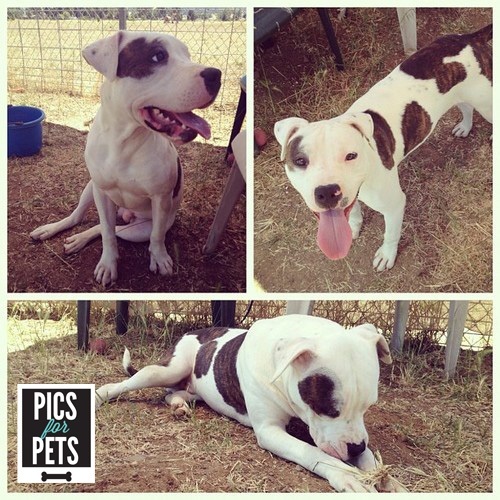 From Dakota’s Den: We love hearing about creative ways that organizations find to help homeless animals. When we sent information about this venture we couldn’t help but “say cheese!”.How many times do parents complain that their teens spend too much time online? It seems that they post never-ending streams of photos to their friends on Facebook. Now, they can put those “itchy-fingers” and photos to good use by taking pictures to help animals in need. READ ON! adorable animals’ lives in the process. DoSomething.org is putting the bite back in the fight for homeless shelter animals. With the help of campaign spokesperson and world-renowned photographer, Nigel Barker, DoSomething.org is launching their first nationwide animal adoption campaign. ‘Pics for Pets’ aims to increase adoption rates in shelters through teens, their cameras and Facebook, while saving some adorable animals’ lives in the process. AOL is also supporting the cause by spreading the word about the campaign to their enormous audience. Every year, approximately 5-7 million companion animals enter shelters nationwide, and approximately 3-4 million are euthanized (50% of dogs and 70% of cats) simply because they are not adopted. One big reason why these animals aren’t adopted is due to sub-par pictures. All too often, the pictures used to market the potential pets are taken when the animal first arrives at the shelter, disheveled and frightened. DoSomething.org has set out make a change, arming teens with the skills to provide updated, irresistible pictures of animals to their social networks in hopes of finding new homes for these furry friends. Running through November, ‘Pics for Pets’ is hoping to increase adoption rates across the country, utilizing the internet’s most powerful asset: sharable pictures of cute animals. Working closely with Facebook, DoSomething.org has created an easy-to-use Facebook app to help teens take and share awesome pics of animals in their community. Using the app, teens will have everything at their fingertips to locate a shelter, learn how to take beautiful pictures of animals and upload pictures to the gallery in hopes of spreading the word about shelter animals and where to adopt them. As a companion tool, DoSomething.org will also be releasing Pics for Pets iOS and Android apps for teens who wish to visit their local shelter and become animal photographers using their smartphones. Teens who participate by sharing their pics will have the chance to win a $10,000 scholarship. DoSomething.org will also be giving up to $10,000 in pet toys, food and bedding to partner shelters depending on how many times their animals profiles are shared on Facebook. 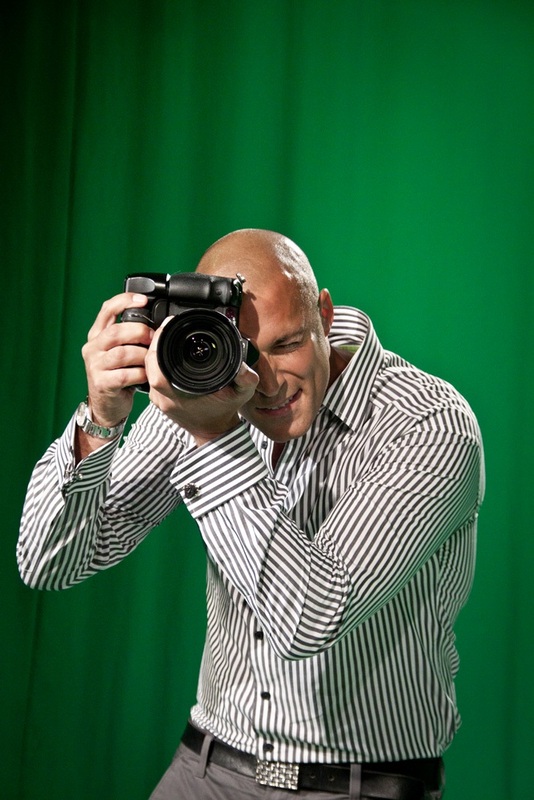 Nigel Barker cares about saving animals’ lives too, and is lending his expert photo tips to help these teens make a difference. 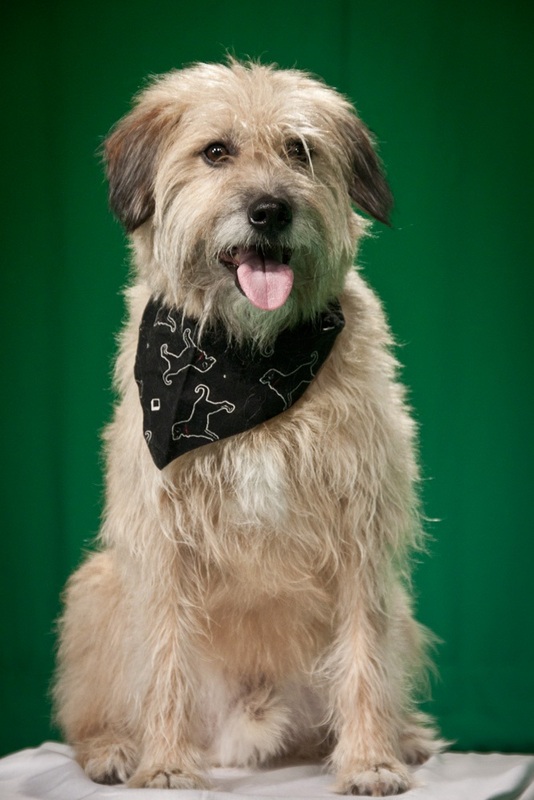 He adds some bite to the bark of DoSomething.org’s animal adoption campaign by starring in a Public Service Announcement (PSA) helping teens to build the perfect photo shoot to get these shelter animals adopted. To view Nigel Barker’s PSA and get started on ‘Pics for Pets,’ visit Picsforpets.org, download the ‘Pics for Pets’ mobile or Facebook app, or text “PETS” to 38383. AOL Inc. (NYSE:AOL) is a brand company, committed to continuously innovating, growing, and investing in brands and experiences that inform, entertain, and connect the world. The home of a world-class collection of premium brands, AOL creates original content that engages audiences on a local and global scale. We help marketers connect with these audiences through effective and engaging digital advertising solutions. Anyway…last Sunday my Mom was up to some MAJOR mischief! Mom was beside herself with excitement! Mom and Dad have season tickets and Janet has some too (she and her husband drive to Detroit all the way from Canada just to see the Lions!) they arranged to meet in front of the Pro Shop at halftime!! Mom was worried that she wouldn’t recognize Janet or find her in the crowd… but she did! Mom said it was as if they had known each other furever! They talked, laughed and hugged. Mom couldn’t have been happier! Check out the photo…they even have the same beads! Mom tried with all of her might to cover her face and for the most part she was successful. You see Mom is a zillion years older than Janet, so Mom wanted HER to have the spotlight! Mom said that Janet is even NICER in pawson than she ever hoped she would be and she is excited because there are a few games coming up that Janet and Mom will both be attending and hopefully they will be able to see each other again! Mom feels as if she has a new “furever” friend in Janet and thinks that is oh-s0-cool! Mom said one of the coolest parts about blogging is to meet the people BEHIND the blogs. Mom doesn’t often get to do that, but when she does it is super special! The icing on the cake? The LIONS WON!!!!!!! Mom and Janet brought them good luck!! Now, maybe one day I will get to meet Freddie and Gloria in pawson! I wonder what mischief Freddie and I could get into?